The 12th conference of the European Science Education Research Association, ESERA 2017, will be co-hosted by Dublin City University (DCU) and University of Limerick (UL) from August 21st to 25th. The organization of the ESERA 2017 conference is led by STEM Education Professors Eilish McLoughlin, Odilla Finlayson, Sibel Erduran and Peter Childs from the Irish STEM education research centers CASTeL and Epi-Stem. The theme of the ESERA 2017 conference, Research, Practice and Collaboration in Science Education underlines aspects of great relevance in contemporary STEM education research: the need to reflect on different approaches to enhancing our knowledge of learning processes and the role of context, designed or circumstantial, formal or in-formal, in STEM teaching and learning. Angela Calabrese Barton is a professor in science and teacher education at Michigan State University in East Lansing, Michigan, United States. Her research focuses on the intersections of teaching and learning science with a particular emphasis on issues of equity and social justice. She has investigated youth learning and identity work across setting and over time, as young people move through the middle grades and into high school. She also works closely with teachers to design/adapt curriculum/pedagogy towards incorporating youths’ cultural knowledge and experiences as a part of science practice and discourse in learning environments. She has also designed and taught after school and community-based science and engineering programs for over two decades in homeless shelters and community organizations in different cities in the US. Such work has led to design approaches for integrating deep engagement in STEM knowledge and practice with youth agency in science and community. She takes a participatory design approach to all of her work, bringing in youth participants, parents, teachers and community staff in both research and development. She is a Fellow of the American Education Research Association, and also the former co-Editor of the Journal of Research in Science Teaching. 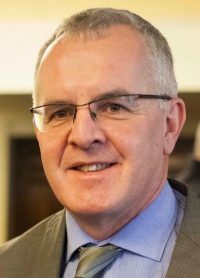 Paul Conway is a Professor of Teacher Education in the School of Education at the University of Limerick, Ireland where he is also Director of the Professional Diploma in Mathematics for Teaching (PDMT) in EPISTEM, National Centre for STEM Education at UL. The PDMT is a national initiative for “out of field” teachers of mathematics. His research focuses teacher learning and teacher education policy and has been funded by by a range of bodies including the Irish Research Council (Advanced Collaborative Research Award, 2012-13), National Council for Curriculum and Assessment (NCCA), National Council for Special Education (NCSE), Teaching Council, European Science Foundation (ESF), Irish Aid, Norwegian Research Council, Uwezo, Ohio Dept of Education, Department of Education and Skills (DES, Ireland). He is currently joint General Editor of Irish Educational Studies (Routledge) and on the editorial board of Teachers and Teaching: Theory and Practice has been a Visiting Scholar at the University of Western Australia, Michigan State University (2000-06) and Oxford University. Emily’s work focuses on how people engage with and learn about science, with an emphasis on equity and social justice. My current research explores how to disrupt rather than reproduce social disadvantages in relation to science education, engagement and communication. Over the past 12 years I have carried out research on science learning and engagement in a variety of settings including science centres, museums, scientific societies, schools, community settings and zoos. 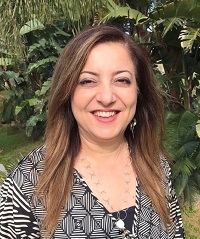 Eleni A. Kyza is Associate Professor in Information Society with the Department of Communication and Internet Studies at the Cyprus University of Technology. During her Ph.D. studies in Learning Sciences she investigated reflective inquiry and students’ evidence-based scientific reasoning. She has a specialization in Cognitive Science, a master’s degree in Technology in Education, a B.Sc. in Education, with a concentration in Educational Media and Technology, and a Teacher’s Diploma. She is the program director of the master’s program “New Technologies for Communication and Learning” and she leads the Media, Cognition, and Learning Research Group. With her collaborators, she has developed two inquiry learning software, which have been used in multiple inquiry research projects: the web-based, reflective inquiry, learning and teaching platform STOCHASMOS, which enabled the investigation of scaffolding to support middle school students’ scientific literacy practices and inquiry-based learning, and TraceReaders, an augmented reality platform for scaffolding students’ inquiry learning in informal contexts. 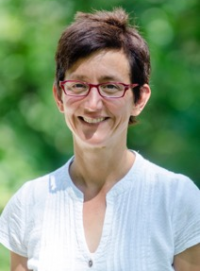 Her research interests focus on the investigation of computer-supported collaborative inquiry learning and the design of technology-enhanced learning environments at different levels of education to support motivated, meaningful and reflective practices. 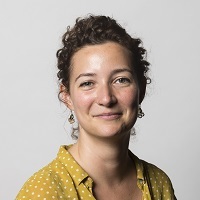 Her current research areas include: scaffolding inquiry learning in informal spaces using augmented reality technologies; collaborative learning; participatory design with teachers and students; and integrating learning in science with promoting active and responsible citizenship in young people. Since 2008, Peter Labudde is head of the Research Center for Science and Technology Education, a group of 20 researchers, at the University of Applied Sciences and Arts Northwestern Switzerland FHNW. He has a PhD in Applied Physics, a MAS Teacher Diploma for upper secondary school, and a Habilitation in science education. 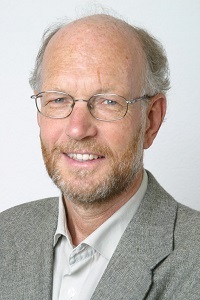 During seven years he worked as a teacher in a Gymnasium, before becoming Vice Director (1988-2002) and then Director (2002-2008) of the Department of Higher Education at the University of Bern. His research foci are learning and teaching processes in science education; international comparative studies in science education; evaluation (schools, CPD, teaching materials, instructional concepts); gender studies in math and science education; interdisciplinary science education; models of competence and standards in science education; development of teaching materials; pilot projects in the development of teaching and education; the relation between science education, schools, and education policy.